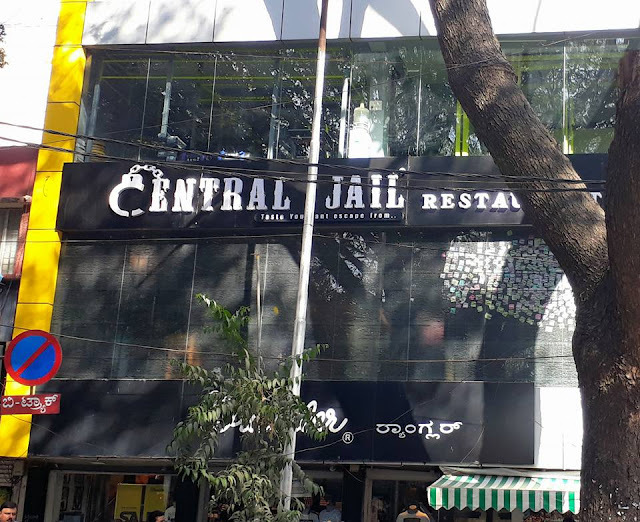 Some months ago, friends of ours had visited this restaurant in Jayanagar 4th Block in South Bengaluru called Central Jail. They had posted a few pictures of it and we were somewhat intrigued by the decor and outfits worn by the staff. 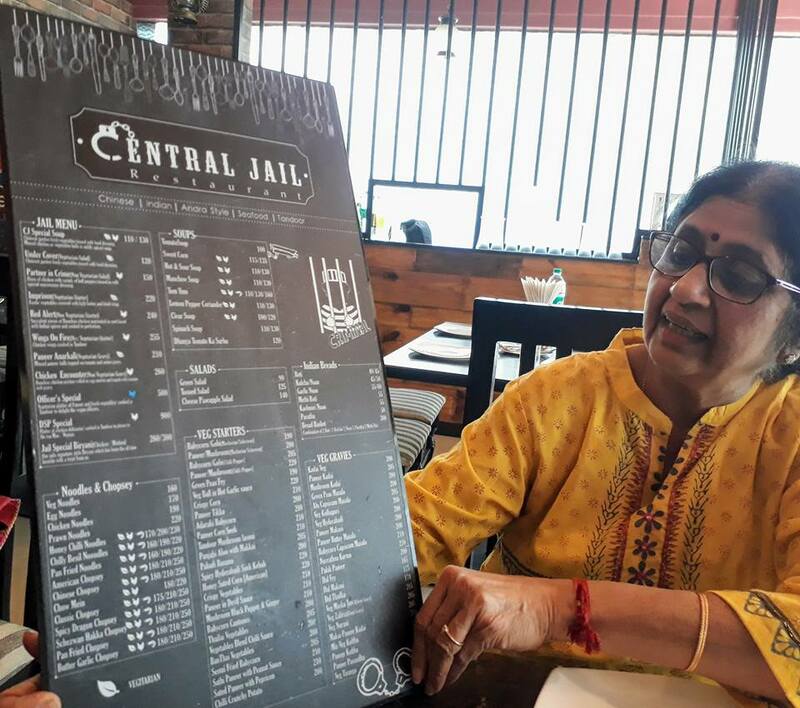 This restaurant, as the name suggests, has the theme of being designed like a jail! !The theme, at least for us, was most certainly unique. I am not adding pictures relating to the theme as you must experience it for yourself. A few days back we happened to be in the area around lunch time and decided to give it a try. We had no reservations but since it was just after 1.00 p.m. we got space quite easily, not in the Main Jail where the dining places are like cells with bars etc but in our more preferred space outside which is more airy, bright, and well ventilated! This restaurant is open from 12 noon to 3.00 p.m. and from 6.30 p.m. to 11 p.m. In no time the place filled up and by the time we finished our lunch, virtually all the tables were full and we saw a number of people waiting for their turn to get a table. In retrospect, it may be a good idea to book a table in advance especially on a weekend. Like most restaurants they offer a wide variety of cuisine ranging from the popular Andhra style to North Indian, Seafood and Chinese. The menu is quite impressive in its spread. 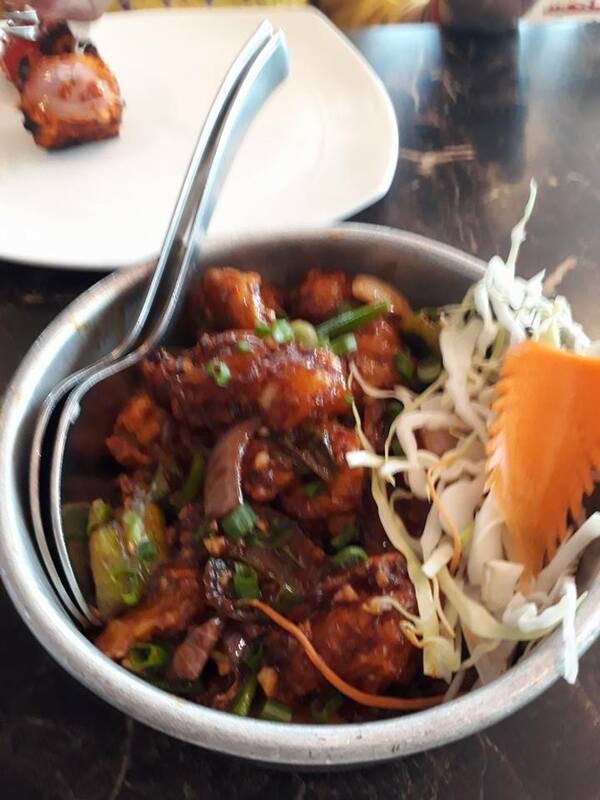 There is a lot to choose from by way of beverages, starters, soups, main course, dessert etc in both vegetarian and non-vegetarian, though I suspect this is better known for its non-vegetarian food. Since we were here for the first time, we didn't want to be too adventurous and decided to select the more common dishes which we thought would be good. We started with Paneer Tikkas . I liked the presentation of the dish and they were as yummy ( to beat to death that old cliche) as they looked especially with the mint chutney. 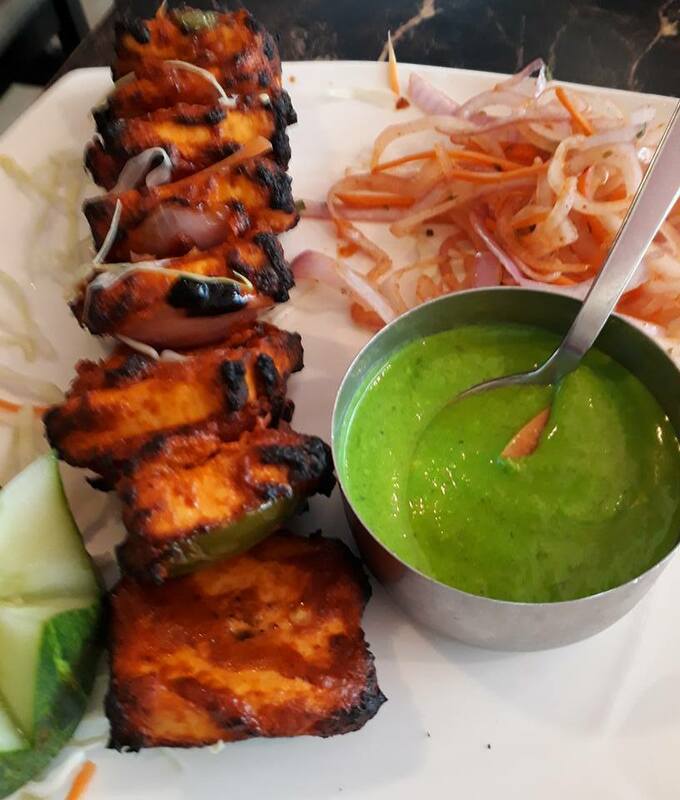 For a tikka to be perfect they need to be well- marinated. The ones we got were excellent. 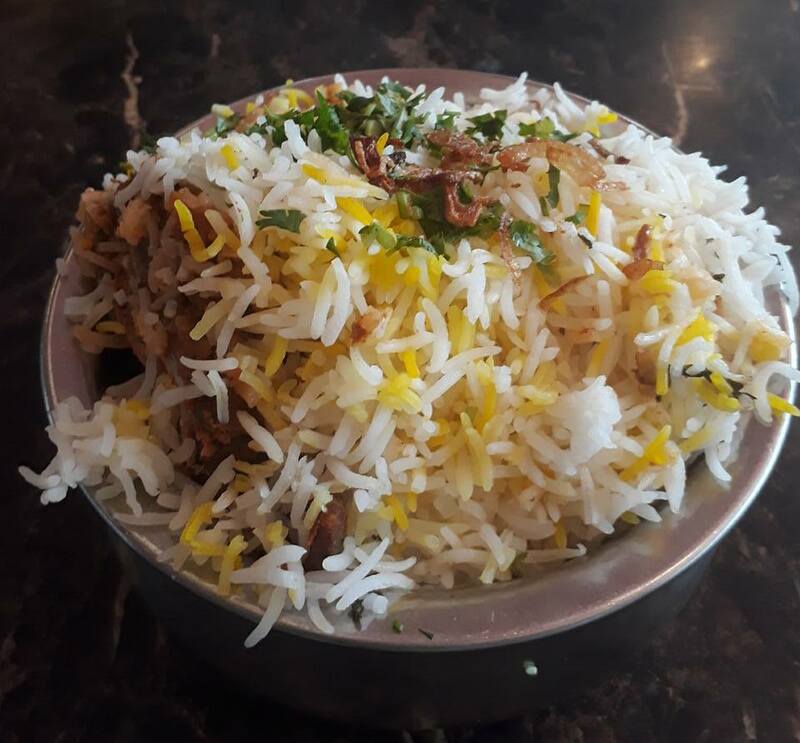 For the next course, we opted for the Chef's Choice of Jail Special Chicken Biryani, described as being their signature dish. This was served with the customary salan and raita. We don't like bland biryanis so this was quite enjoyable as it had just the required amount of spice. Since we are fond of prawns, we ordered the Prawn Chilli done in the Indian Chinese style which was outstanding. For this dish, as indeed for everything else the quantity was more than adequate. We were quite full so we skipped the desserts though they had intriguing names such as " Inmate's Special ", "Hijack", "Shootout " etc. May be we should have this the next time. And, of course there will be a next time as we really liked the food. The service was also very good as was the overall hygiene and we had no complaints whatsoever about our brief sojourn in the Central Jail! !